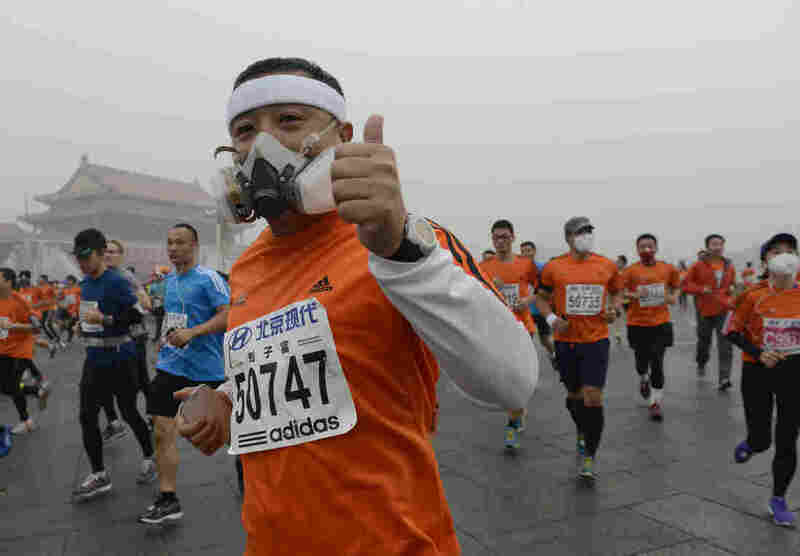 In Photos: Heavy Smog Doesn't Stop Beijing Marathon : The Two-Way Some runners wore masks and there were reports of some quitting the race. 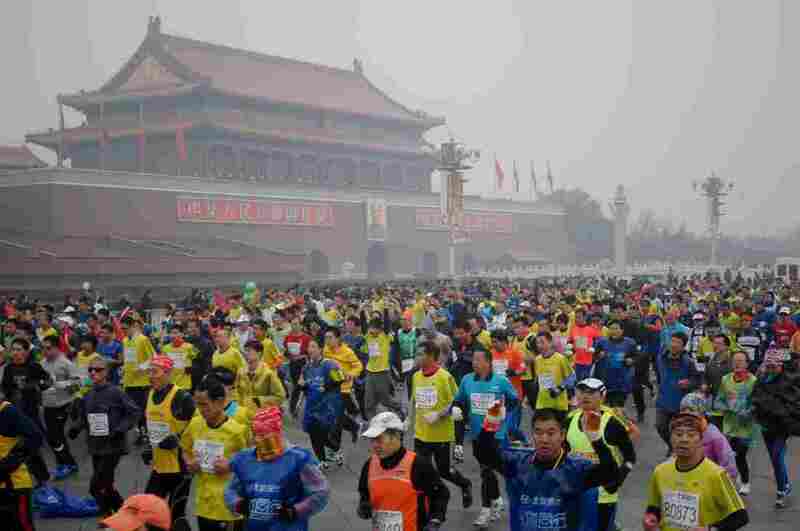 Most of the tens of thousands, however, braved the heavy smog to run all 26.2 miles. Running 26.2 miles is hard enough. Now imagine running them through the deep smog that often envelopes Beijing. That's what happened this morning as some 25,000 runners took to the streets for the 34th Beijing International Marathon, which begins at Tiananmen Square. 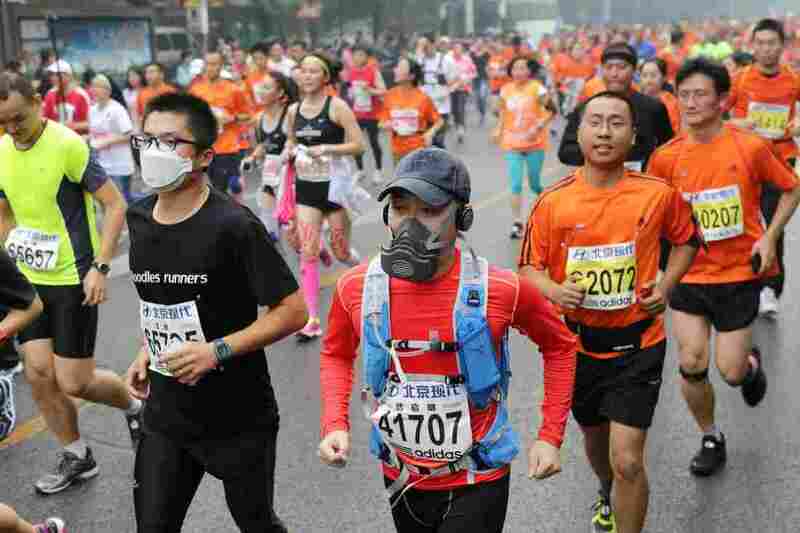 As The South China Morning Post reports, some runners sported masks. The People's Daily reports that things were so bad that some runners gave up. Still, most runners finished. 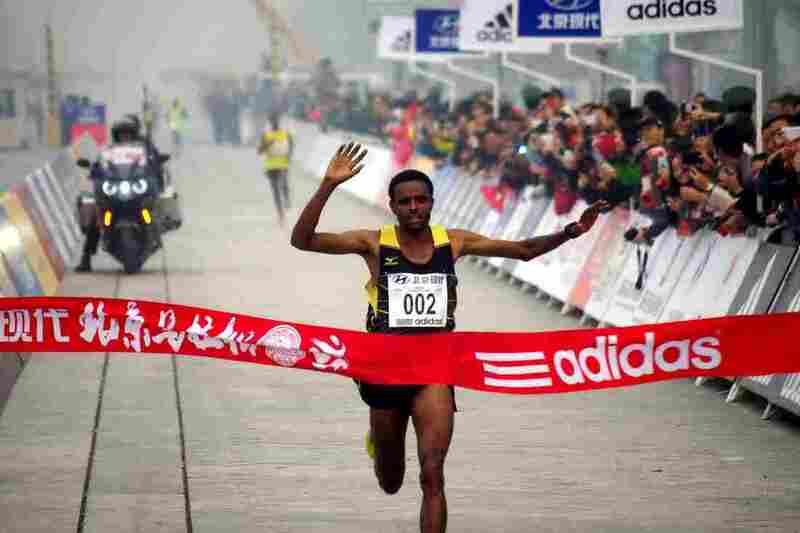 Girmay Birhanu Gebru of Ethiopia won the men's race in a respectable 2:10:42. Participants wearing masks during a hazy day at the Beijing International Marathon in front of Tiananmen Square on Sunday.